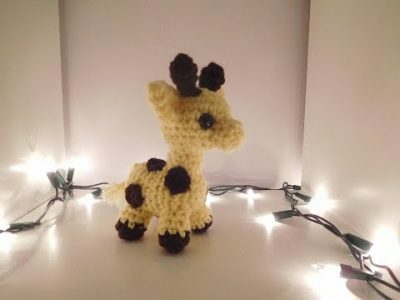 Crocheted giraffes amigurumi can be your kids best toy to snuggle and play with. 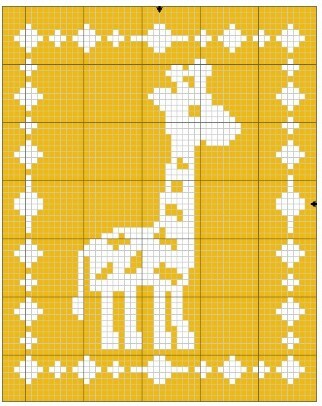 From crochet giraffe hats, rugs, and afghans you can create innumerable patterns. 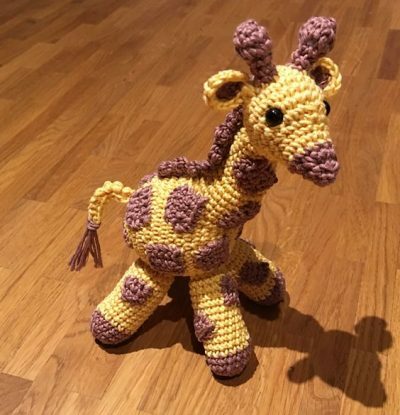 We have compiled the best patterns for crochet giraffes for different projects. 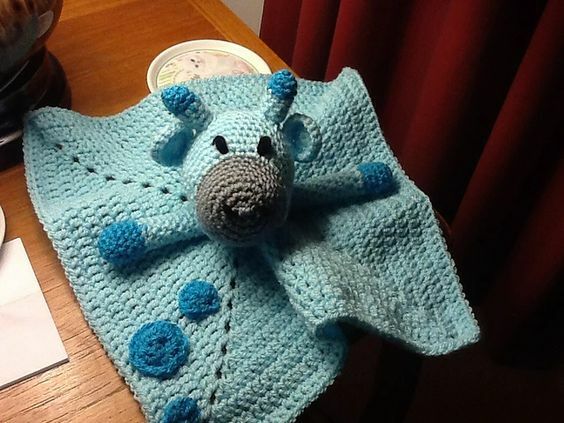 These linked tutorials have free patterns with step-by-step instructions. As you know Amigurumi are tightly crocheted toys, so choose a hook that gets a stiff fabric with the chosen yarn and start with this cutesy pattern. This pattern uses written instructions for all parts, with added diagrams and pictures to make it easy to follow. 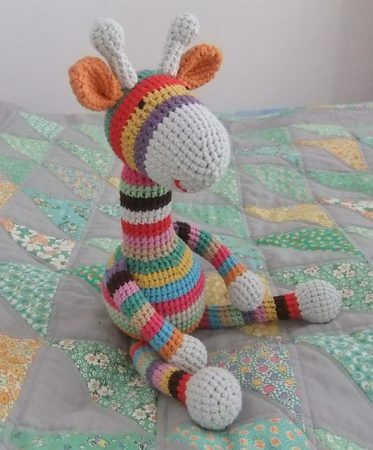 Make your own vibrant crochet giraffe with colorful stripes. Kids love playing with colorful stuffed toys. In this tutorial they have made embroidered eyes, you can use google eyes too. This pattern is made by Emma and you can download this pattern free on Ravelry. I found this pattern to be wonderfully cute. 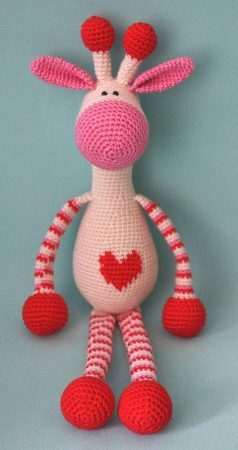 The combination of yarn colors used with the heart design in the middle will make your child happy and smiling. Download the free pattern with instructions in the linked tutorial. 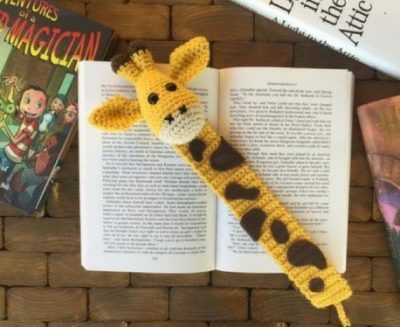 Crochet these adorable amigurumi giraffe bookmarks for your little bookworms. 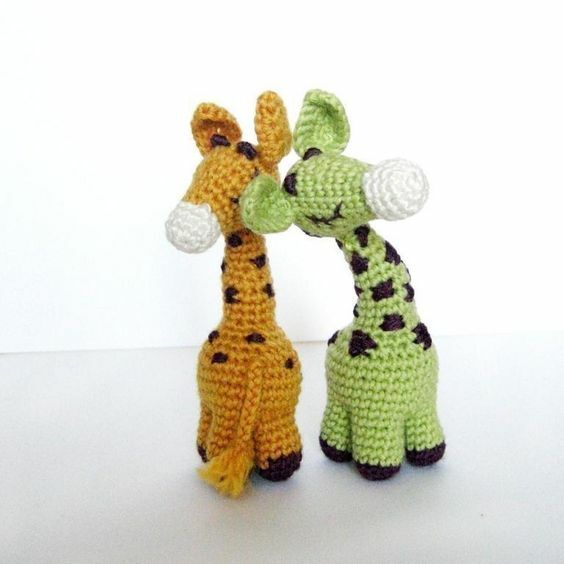 These simple yet cute giraffes make great gifts for kids. Get the full pattern on Hearthookhome (linked tutorial). 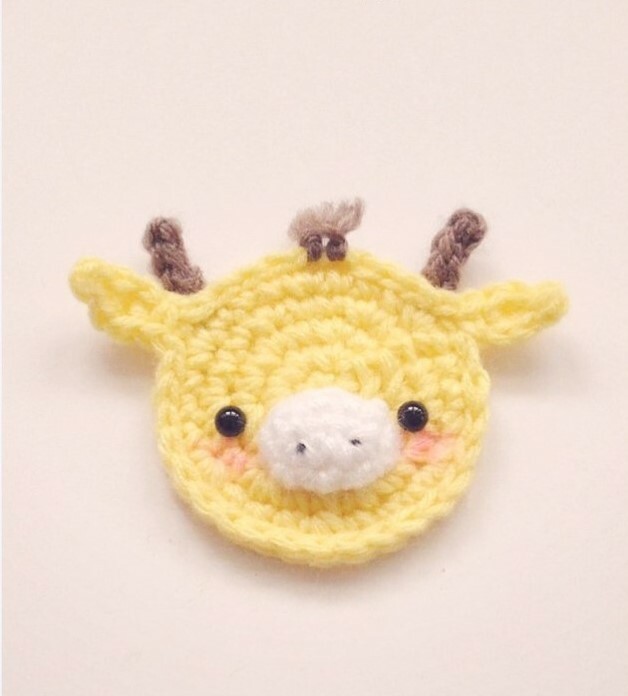 If you are making a patched blanket cover for your newborn baby then this Giraffe applique design will give it a sweet look. Try making 2-3 of them in different colors to decorate your cover. This is an easy pattern which won’t take much time for beginners also. 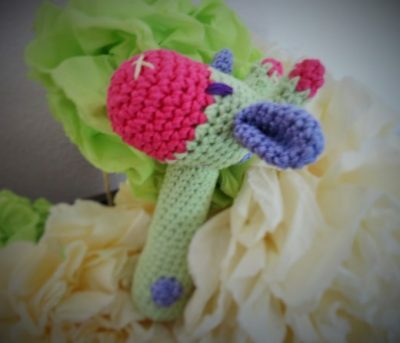 The project involves simple crochet stitches and can be easily made by beginner crocheters. This amazing pattern is on Ravelry by Lulu. Its irresistible charm will surely make your little angel merry and smiling. This tiny stuffed crocheted giraffe makes a very lovely rattle. 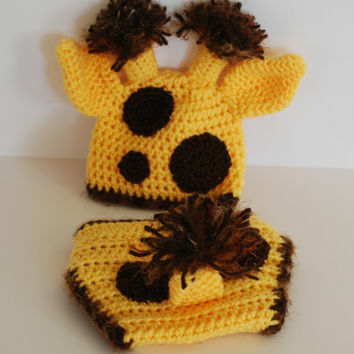 They are super cute and perfect for newborn baby gifts! 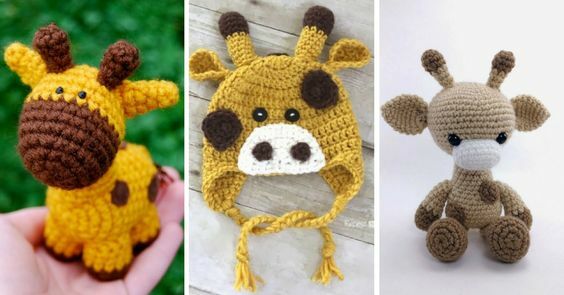 This pattern is for beginner to intermediate crocheters. A wonderful addition to your baby’s nursery with a jungle theme. 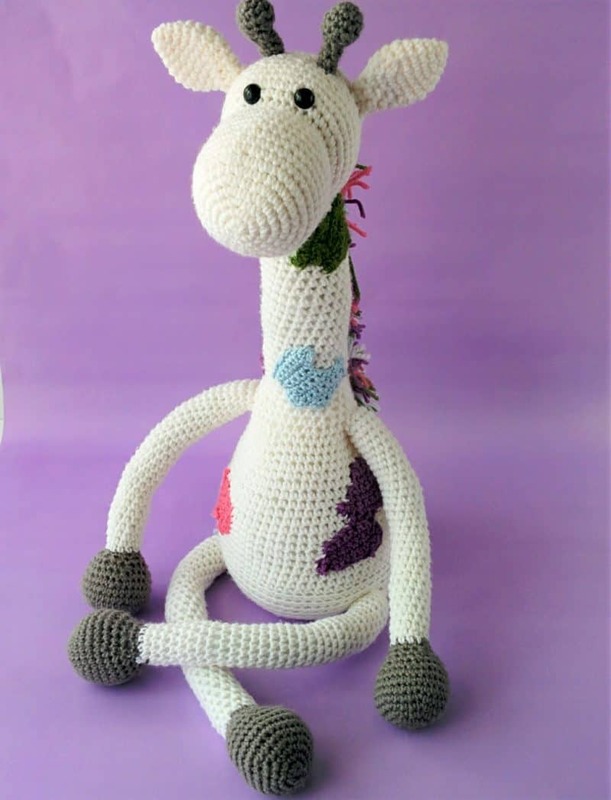 It would also make a beautiful baby shower gift! 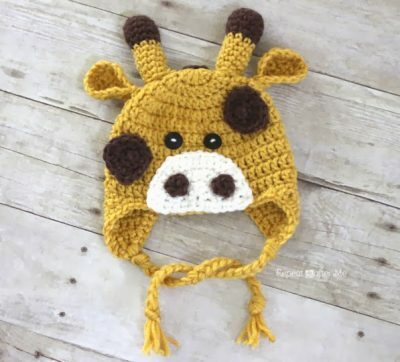 Kids love these animal-themed caps/hats. 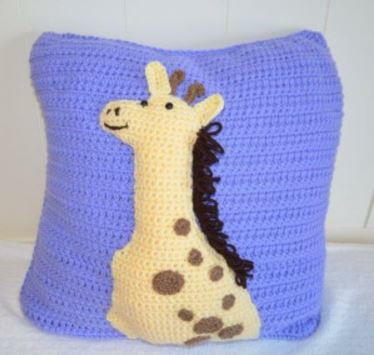 This filet Giraffe blanket crochet pattern is light and lacy, ideal for infants and toddlers.